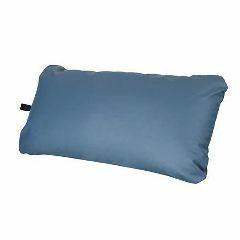 King Size: 18" x 34"
Easy to clean and professional looking, the King Size pillow cover is the hygienic and professional way to use a pillow. This super wide design allows you to easily support the legs of any client by using either a king or two standard pillows to fill the cover and create the perfect support. Made of Oakworks' 100% PVC free TerraTouch fabric available in a rainbow of colors. Pillow is not included.